What happened when two young men joined forces to pursue their passion for great design and craftsmanship? An award-winning remodeling team was born. In 1973 The Transformed Tree “took root” in St. Paul’s St. Anthony Park. Mel Salmi joined the company in 1975 and became the owner in 1977. Peter Hagen joined the company in 1979 and became co-owner two years later. Both men were determined to put their love of woodworking, craftsmanship, and design to work. All these years later, Mel and Peter remain steadfast in their commitment to superior woodworking, seamlessly blending old with new, and helping homeowners reimagine their space in unique and exciting ways. The goal and mission remain the same; Provide exceptional service and workmanship while creating stunning spaces that stand the test of time and the rigors of daily living. Time to make the most of your home? Start the transformation! Contact us today. Hailing from Cloquet, Minnesota, Mel pursued his education in applied physics, math, and engineering at the University of Minnesota, and adopted St. Paul as his home. After a brief stint in the restaurant trade, Mel’s friend, and owner of The Transformed Tree asked him to join the company. He quickly realized it was the perfect fit for this math, physics, engineering, and design skills. Mel soon became a principal owner and president of the company. Today his primary focus is on design/build activities. He particularly enjoys the day-to-day interaction with The Transformed Tree clients and coming up with unique and inspired solutions for stumped homeowners. A graduate of New Hampshire’s Philips Exeter Academy, Peter went on to study architecture at the University of Minnesota. 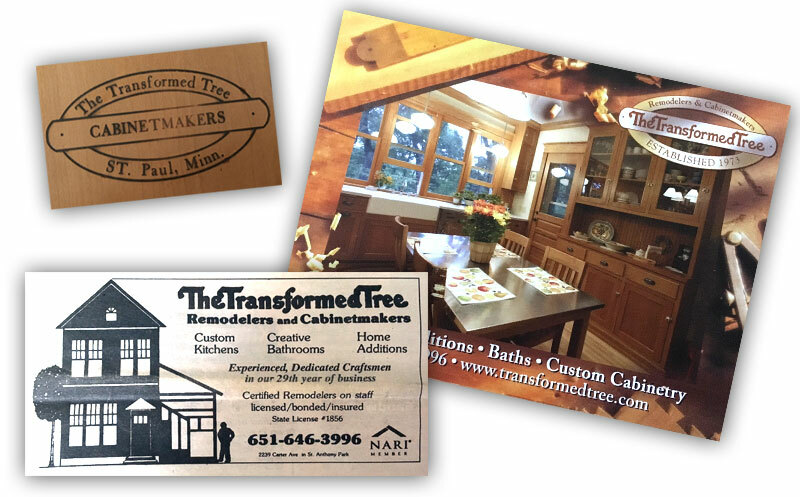 When he joined The Transformed Tree in 1979, he discovered a place where he could fully apply his passion for woodworking and design. He became co-owner of the company in 1981. Peter holds a BAS degree in construction management and serves as The Transformed Tree’s production manager. Using his project management expertise, keen attention to detail, and passion for quality craftsmanship, Peter works closely with homeowners, craftsmen, and contractors to ensure everything goes according to plan. He is an active member of the National Association of Remodeling Industry (NARI) and is past president of the Minnesota chapter.